Acting as the creative director for the re-design of the New York City Ballet, I wanted to honor Paula Scher’s original intent for this prestigious brand. Power and grace. Images are dynamically cropped, creating tension while focusing on the subtle movements and gestures of the dancers. 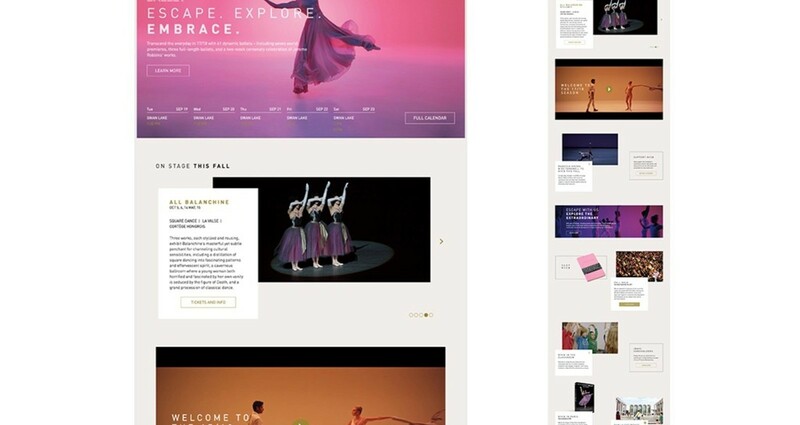 Inspired by the natural movement of dance, the site subtly animates in as the user scrolls. 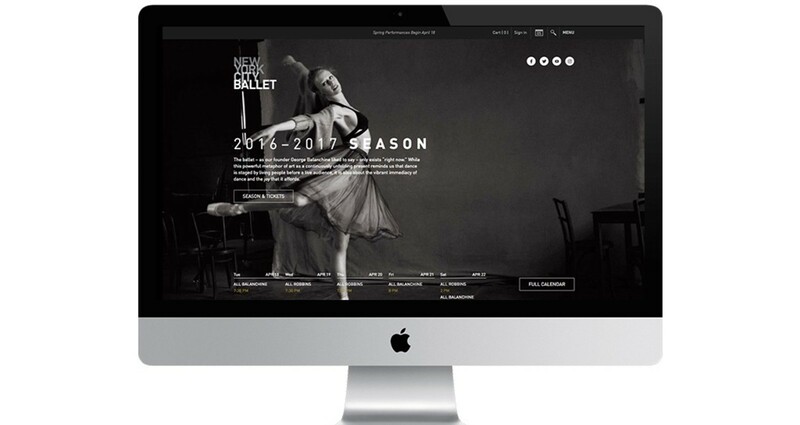 The objective of the re-design was to modernize the homepage for the New York City Ballet, appealing to their fastest growing demographic, young millennials. The goal was to increase single ticket sales and donations in a mobile first environment. 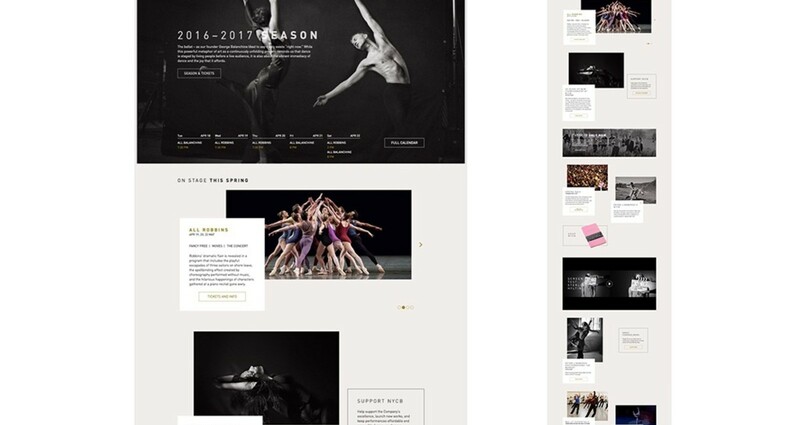 This was an agile design process, using a small hyper-focused team, we worked hand in hand with the creative and development team from the New York City Ballet. The biggest challenge we faced was a need to give equal weight to various stakeholders on the homepage while creating a seamless and enjoyable mobile-first user-experience. The result was designing a series of module types for performances, videos, education, shop, donate and unique events such as the fall gala.